OckamSoft 5 is a modular software package that produces graphical displays, controls the instrument system, and provides connectivity via the internet for remote services. OckamSoft 5 addresses modern color graphics and the confluence of Ethernet, WiFi and Internet technologies, and the multiple devices that can exploit data from them. The display apps Race, EyeApp™ and Vysion™ are designed for different platforms, but all provide a consistent presentation of sailing data. You can run multiple instances of them at the same time, and they will all work together. Many graphic page types including starting, racecourse, chart+AIS, engine, stripchart, polars and numerics (see Graphical Displays for details). Graphical pages can be viewed on any mobile device (see EyeApp™). Modular design – OS5 components can run on one or many machines at the same time. Ethernet/Internet/WiFi distribution – OS5 data transports over these media, including authorized recipients off the boat. Application sync – when one OS5 app changes something, e.g. pinging the starting line, all the other apps get the memo. Race is optimized for traditional PCs. Vysion™ (the embedded display) is optimized for fixed displays (e.g. mast displays). EyeApp™ (the mobile display app) is optimized for mobile devices. There can be multiple OS5 applications running on different platforms at the same time. Race – the main display application for PCs. EyeApp™ – the application that serves up OS5 pages for mobile apps. Vysion™ – the display application for dedicated monitors. OS5Starter – desktop widget to simplify startup. Chart browser – downloads charts from the internet. 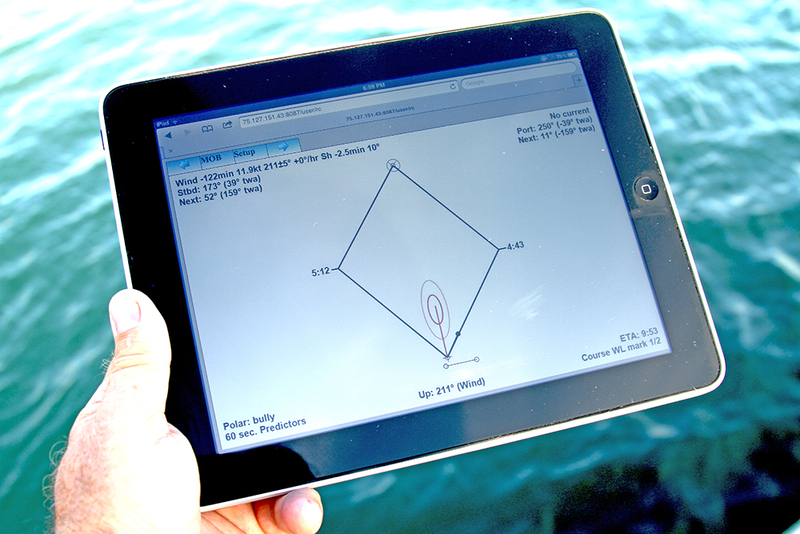 SPedit – SailPlan™ crossover chart editor. LogScanner – Log file viewer. PolarOps – Polar viewer and editor. UDPmon – tool for observing and testing the UDP broadcast. WebItems – web browser and page editor for adding web pages to Race.